Have A Happy Christmas At Winter Wonderland! The time for you to visit Winter Wonderland is now! There is not long left for 2017, and then Santa will up sticks and take his magic back to the North Pole, surrendering Cleveland Street back to the Florida sunshine. 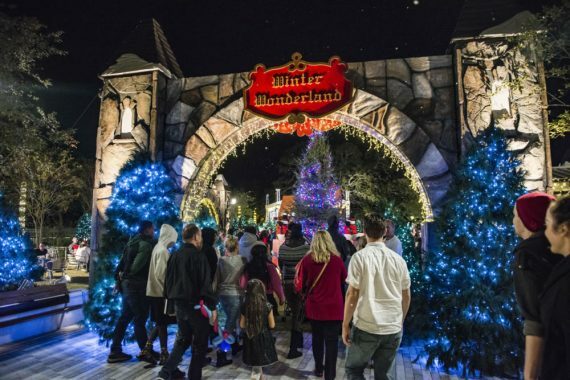 Winter Wonderland has something for the whole family – kids and adults will be entertained, and they also get to contribute towards someone else having a great Christmas as well. Winter Wonderland is something that Keanan Kintzel takes his family to every year, because it is both a great event, and it supports the local community. When you see it you will appreciate all the hard work that goes into making it look as great as it does, and all the volunteers who help run it every year. It draws crowds from all over the world, and inspired through both the good feelings it instills in the people who attend, and through the many charities that the event helps. As well as Winter Wonderland the Clearwater Community Volunteers also put on a fantastic Easter Egg Hunt, and Fashion With Flair, so they keep your year interesting with great events throughout. Check out their website to find out more here.